Oh those Wildwood Days… Head down to the Jersey Shore this summer to enjoy the beaches, boardwalks, and the bites. The Wildwoods are home to beautiful free beaches and Morey’s Piers amusement park, as well as some very tasty eateries. It’s easy to miss out on a quality Wildwood dining experience when there are so many places to choose from. Don’t be fooled by kitschy shore decor or the false promises of “best on the island.” As a Wildwood Crest native, I have first-hand knowledge of the best Wildwood restaurants. Shoobies take note: here is a list of local favorites to try on your next vacation to the ‘woods. 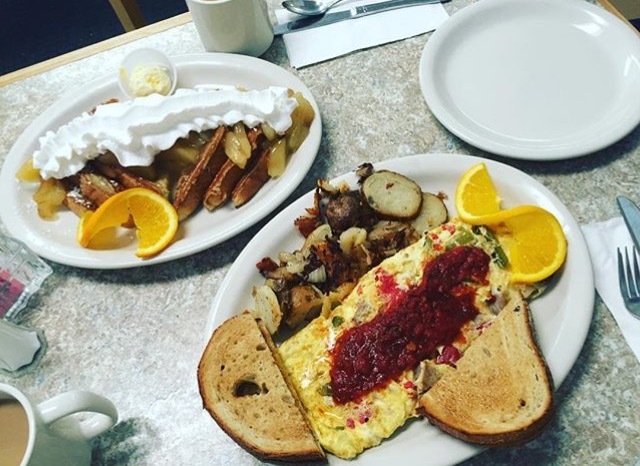 JellyFish Cafe boasts large portions, a friendly atmosphere, and a #1 ranking for the best breakfast in the Wildwoods on yelp. JellyFish is open for lunch and dinner, but they are known for their breakfasts. Do the most important meal of the day right with fluffy chocolate chip pancakes or a loaded omelet. The fun under-the0sea decor and welcoming staff are the perfect addition to their extensive breakfast menu. Meet family and friends here before a day of fun activities. Its location in Wildwood Crest may even be walking distance from your hotel. The best pizza place on the island is highly contested amongst Wildwoodians. The two biggest players Mack’s and Sam’s have a Pat’s and Geno’s-esque rivalry. Considering both public opinion and personal preference, I have to give it to Sam’s Pizza. Sam’s pizza is reliable; not too much sauce, right amount of cheese, and a perfectly cooked crust.The only way to end a long day of pier hopping and roller coaster riding is with a slice of Sam’s famous pizza. 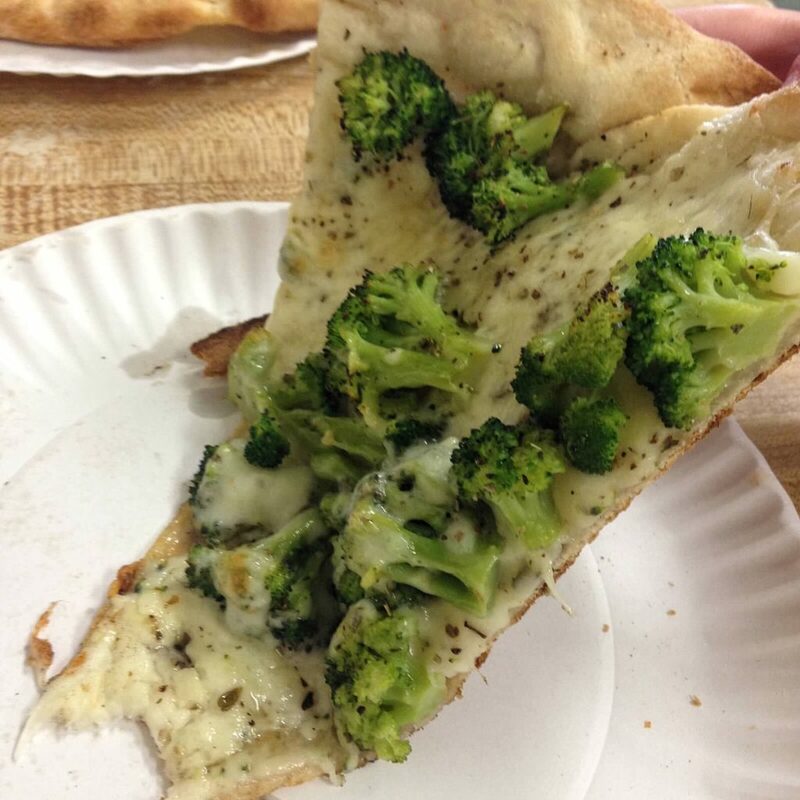 A plain slice from Sam’s always satisfies, but Sam’s veterans also like to mix it up with a delicious piece of white broccoli (mmmm). Be sure to bring along a bucket of curly fries from across the boards; the combination is the epitome of boardwalk fare. If you’re looking for unique food and a laid-back vibe, you have to check out Dogtooth on New Jersey Avenue in Wildwood. Dogtooth serves up its delicious menu year-round, making it a local favorite. he bar and grille delivers a menu of staples like the classic cob salad pictured above, along with dishes like their homemade volcano shrimp that you can’t find anywhere else. 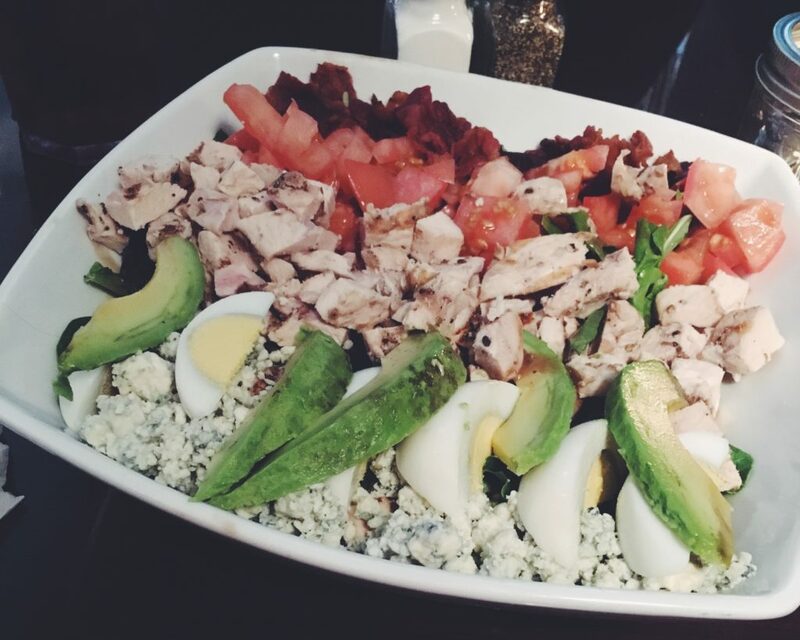 Dogtooth’s American/Mexican/Asian-inspired fare is sure to please everyone in your party. It’s the perfect spot to meet friends after a day at the beach. If you are looking for an upscale menu, but do not want to sacrifice a view of the water then Beach Creek is the place for you. Beach Creek is one of my favorite restaurants and my family’s favorite spot to celebrate any special occasion. You can dine on appetizers outside on the deck and listen to live music, or opt for a full-course meal inside the dining room. 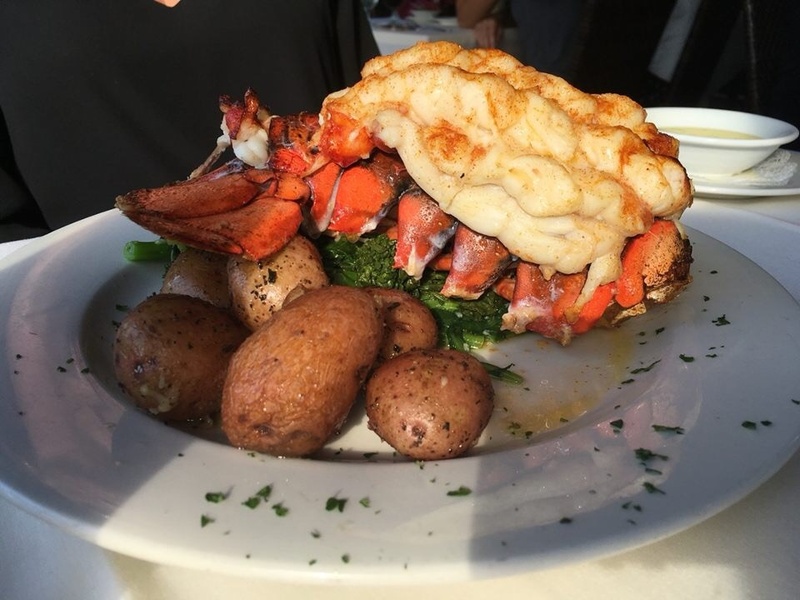 Their menu offers international contemporary cuisine and delicious seafood options like the lobster dinner above. Beach Creek is an enjoyable, coastal dining experience with the best sunsets views on the island. When it comes to ice cream the only game in town as far as I’m concerned is Duffer’s Ice Cream Parlor. It’s the only stop for incredible homemade ice cream in the Wildwoods. Who doesn’t like ice cream sundaes that weigh more than they do? Seriously, their sundaes are massive and topped with homemade pastries and traditional sundae toppings. I recommend eating in for the full-on, immersive Duffer’s experience. 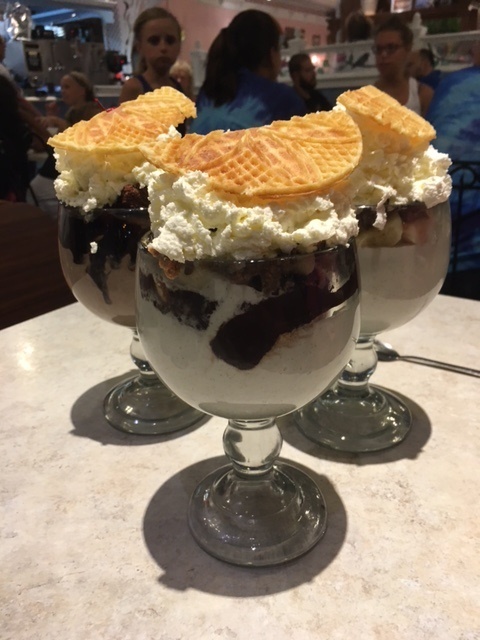 You can delve into a rich sundae delivered to you by their friendly ruffle apron clad staff and watch as the choo-choo train makes its way around the dining room. Duffers also boasts an arcade, a mini golf course, and full breakfast, lunch, and dinner menus. Take a trip back in time during your summer vacation at the locals’ favorite old fashioned ice cream parlor.